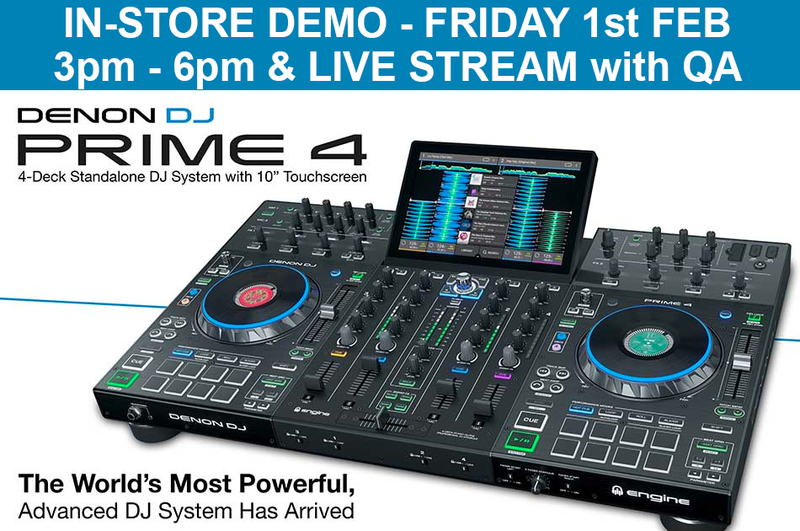 PrimeTime this Friday Exlcusive Showroom Demo, come and have a play! The buzz of the new Denon DJ Prime 4 has been ridiculous, so here at DJkit we're giving our customers an EXCLUSIVE chance to have a play on the unit ahead of it's release in March! 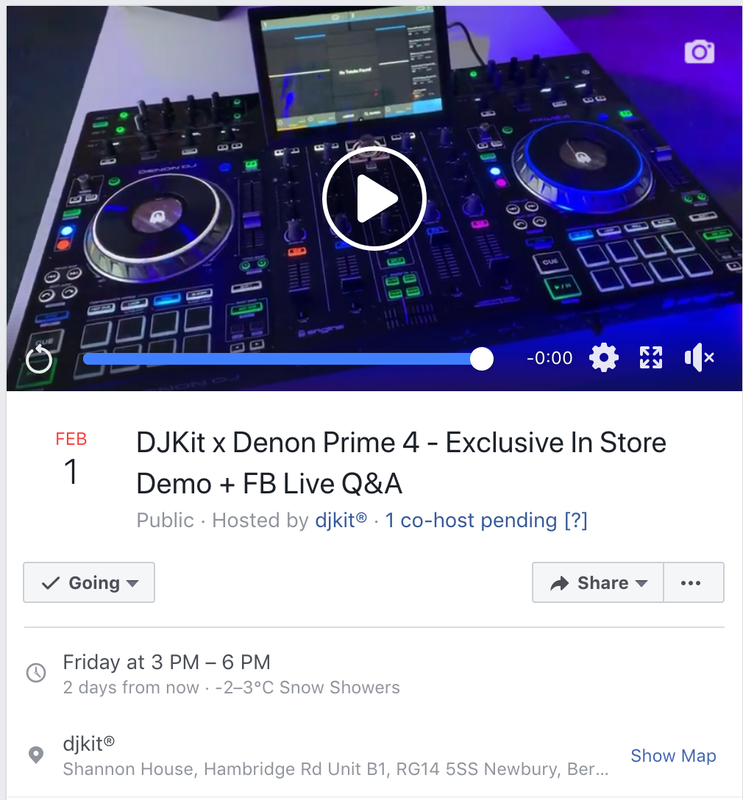 We will have the Prime 4 set up in our showroom in Newbury from 3pm - 6pm on Friday 1st Feb with Denon Product Specialists Matt Reay & Richard Ward in tow to answer any of your questions. The FIRST retailer in the UK to do so! Can't make it down to us? No problem! We will be live streaming the whole event on FB Live so if you have a question on the controller, pop it in the comments and one of the boys will answer it for you live on air! Tune in on our Facebook page @ 3pm Friday 1st February - book mark it now!